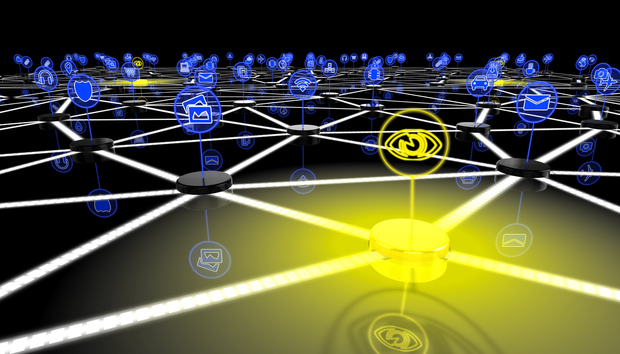 Millions of IoT devices are misconfigured so that they can forward messages -- which, combined with default admin settings, allows them to be used to attack e-commerce and other websites, a new report says. The problem is well known and has been around for a more than a decade, said Ryan Barnett, principal security researcher at Cambridge, Mass.-based Akamai Technologies Inc., which produced the report. The problem first came to Akamai's attention when the content delivery network noticed attacks against its customers where the attackers were checking to see whether particular user name and password combinations were valid on the site. The credentials came from breaches such as the recent Yahoo hack, in which 500 million accounts were stolen. Since many people reuse their passwords, attacker will try the stolen passwords against other sites to see if they work. "We were seeing big, big, spikes," Barnett said. And the attacks were coming from millions of different IP addresses. When Akamai's security incident response team team took a closer look at these attacks they found the same pattern over and over again. "They were all formatted exactly the same, except that the user name and password was different," he said. "So we knew that this was probably being controlled by a single entity that was launching these attacks." Akamai traced the messages to badly configured IoT devices. Each particular device would only send a few messages, he added, to stay under the radar. "But because we were able to see this across all these different customers, we were able to see the same IP addresses hitting multiple websites," he said. "When we mapped them back, that's when we were able to see that these were IoT systems." The configuration problem is two-fold, he said. First, there's the default login setting for the management console -- often something like "admin" and "admin." Manufacturers need to force users to change these defaults to something else when they set up their devices. Second, there's the TCP forwarding setting. The Transmission Control Protocol originates with the Linux operating system that IoT device manufacturers use because it's free and convenient. And it's a useful feature when Linux is used to run servers. It's not something that IoT devices would typically need. Some manufacturers try to lock down the settings, but if the hacker has valid login credentials -- such as those default passwords -- they can get around the restrictions. Barnett said that IoT can devices can also be used for another kind of high-profile attack -- a distributed denial of service. But those attacks use a different methodology, exploiting vulnerabilities to install malware on the device in order to turn it into a botnet spewing out large numbers of messages. This particular vulnerability doesn't magnify the messages, but is simply used to forward them in order to hide their origin. End users, meanwhile, should immediately change any default passwords they have for their devices, he said. In addition, enterprises should scan their networks for vulnerable devices, since they can also be vectors for attacks against corporate networks. Another problem, for both enterprise and home users, is that their IP addresses could get blacklisted as a result of the malicious activity, and there could be performance degradation as the fake messages eat up bandwidth. Stopping the fake messages mid-way is tricky. Simply blocking all messages that come from IoT devices is not practical, he said, since routers are also IoT devices and are used for legitimate communications. "We are working on device fingerprinting, to tell exactly what kind of device is doing this," he said. Meanwhile, Akamai scores IP addresses for potential malicious activity and also looks for behaviors that indicate that messages are not coming from real people but from bots. "Then we can initiate additional behaviors so that those attacks would fail," he said. For example, a second authentication screen could pop up. According to Akamai, these types of attacks, which they call SSHowDowN Proxy attacks, come from surveillance cameras, satellite antenna equipment, routers, hotspots, modems and other networking devices, and Internet-connected storage devices. In particular, they include NUUO Network video recorders, Intellian satellite antennas, GreenPacket WiMax routers, Ruckus hotspots, and Synology NAS devices.